Pink Floyd's David Gilmour and actors Colin Firth and Michael Fassbender are among an array of British artists who have come together to save lives by raising awareness and money for the Malta-based search and rescue Migrant Offshore Aid Station (Moas). Foxes, Jon Ronson, Miranda Hart and Nick Frost are among the artists. 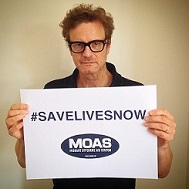 Using the hashtag #savelivesnow celebrities are reaching out to their fans and followers on social media urging them to donate to Moas. Many of them are even challenging their fans to raise enough funds to keep MOAS at sea for a day: €7,300. The artists have then pledged to match that donation. More celebrities will be launching campaigns of their own over the coming days and weeks. The campaign, Artists for Moas - Save Lives Now, is being coordinated by fundraising expert Holly Allen and journalist Charlie Gilmour, using the platform GivenGain.com, as a response to the increasing number of tragedies at sea. 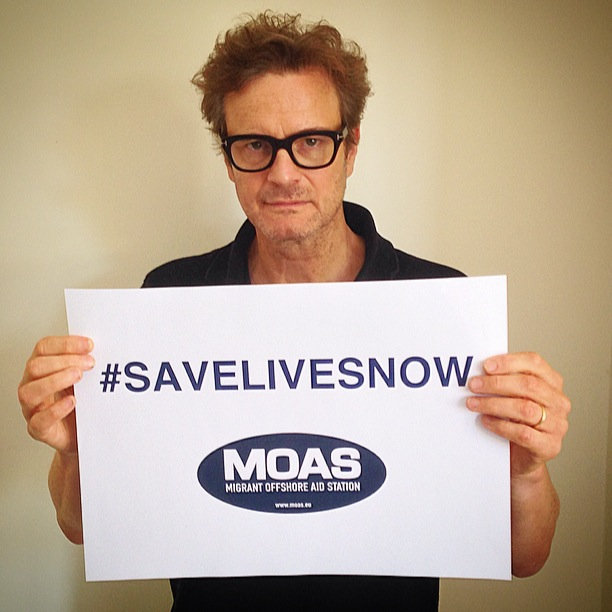 Oscar-winner Firth personally visited the Moas offices in Sliema last Wednesday to offer his support. Moas has saved more than 11,000 men, women and children in the Mediterranean since launching its maritime operations in August 2014.